From your home office through to distribution warehouses, residential clients protecting their family heirlooms to museums protecting our nations treasures, SmokeCloak protects them all. Starting in the early nineties with its roots in protecting commercial properties overnight the products flexibility and success inevitably led it into other areas, we are now protecting both the valuables and more importantly employees from the increasing threat of a daytime attack. To the opportunist burglar your property could seem the obvious and easiest choice, a selection of electronic goods and the potential of cash all in one location. 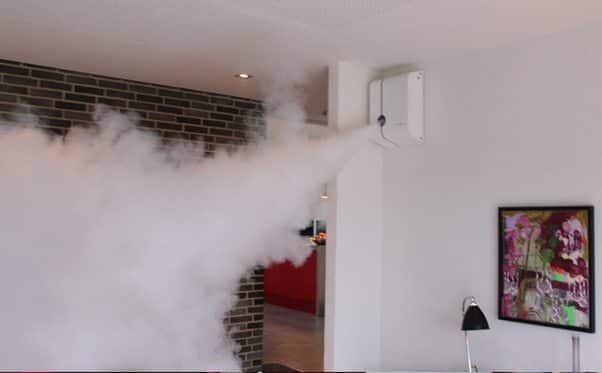 Installing a SmokeCloak protects your property from the losses and subsequent downtime that follows a break in. 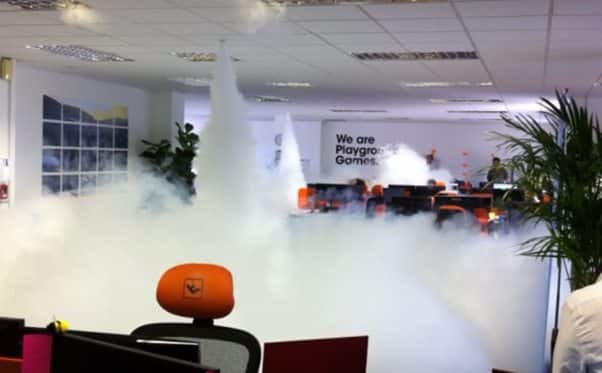 Once the SmokeCloak is armed, alarm sensors monitor your premises from unwanted guests, should movement be detected the SmokeCloak will instantly trigger, cloaking the area with an impenetrable curtain of fog reducing visibility to less than an arm’s length, ensuring your goods are protected and the bad guys flee empty handed. This innovative solution to commercial security can be easily installed for peace of mind, safety and security.